Dine in style with the Remington Dining Table by Eichholtz. 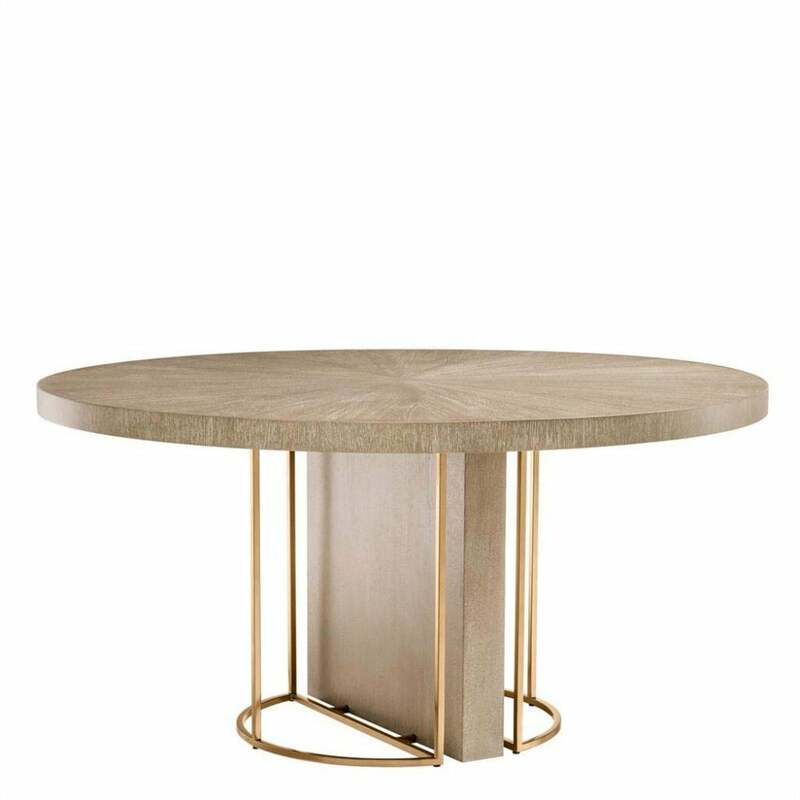 This designer table features a circular table top crafted from washed oak veneer and a base finished with brushed brass legs. Create a luxe Skandi style by combining Remington with the Reynolds Chair in ecru velvet from the Eichholtz collection. The beautiful washed oak top celebrates the rich grain structure of natural wood. This organic finish contrasts beautifully with the industrial style framework. The Remington Dining Table will bring a touch of refined glamour to a minimal interior look. Get in touch with our team for more information and advice.